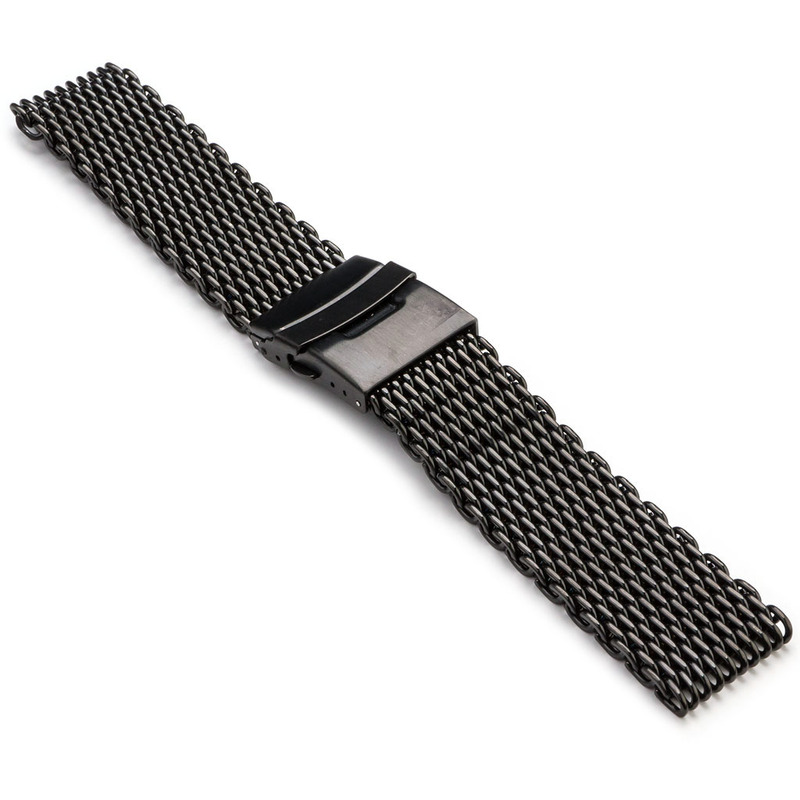 High quality shark mesh strap in stainless steel. I HAVE THE SEIKO PROSPEX PADI SPECIAL EDITION KINETIC GMT DIVERS SUN 65 BUT THE STRAP IS UGLY RUBBER AND LOOKS LIKE A BIG AND FAT WATCH BUT NOW WITH THIS SHARK MESH STRAP THE WATCH LOOKS AMAZING SOME PEOPLE ASKME ABOUT THAT A LOT. THANK YOU STRAPSCO. These are fantastic. Far better than what I thought. 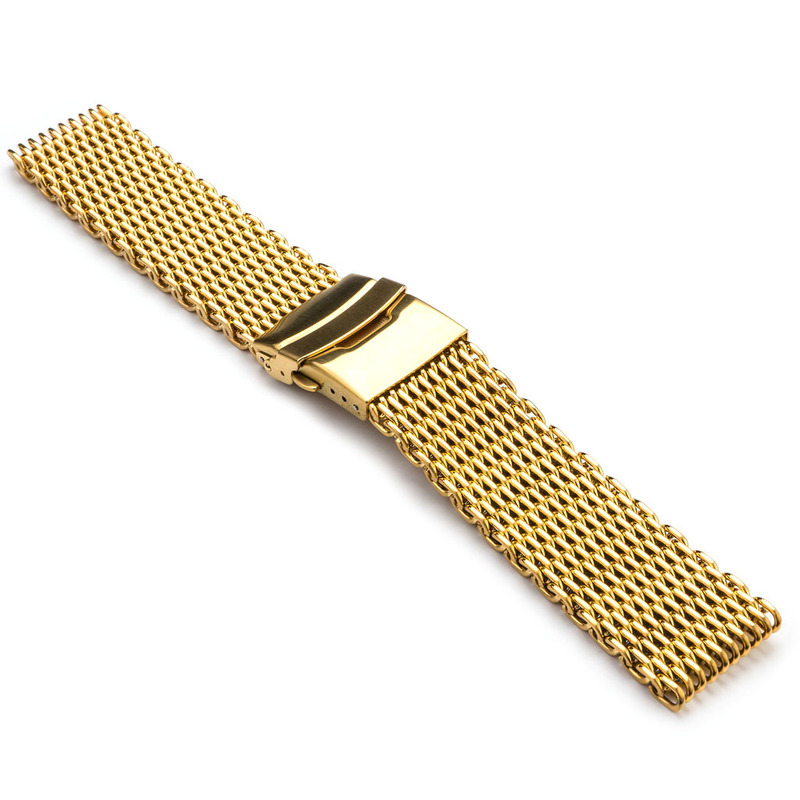 Really first quality and a true bargain for the price, comfortable on the wrist and very classy. I am extremely happy with these. 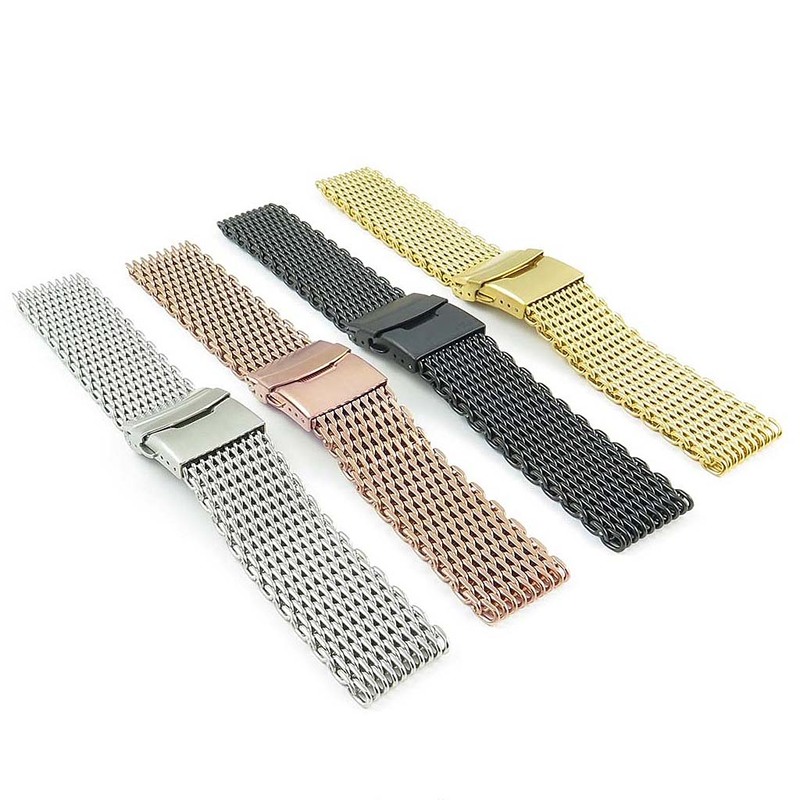 These mesh straps look good and feel comfortable on the wrist. Not easy to adjust if, beyond the length adjustment allowed by the spring-bars, you need to remove some links from the strap! There are some occasional, very sharp edges at the side of the strap, which isn’t a good feature! 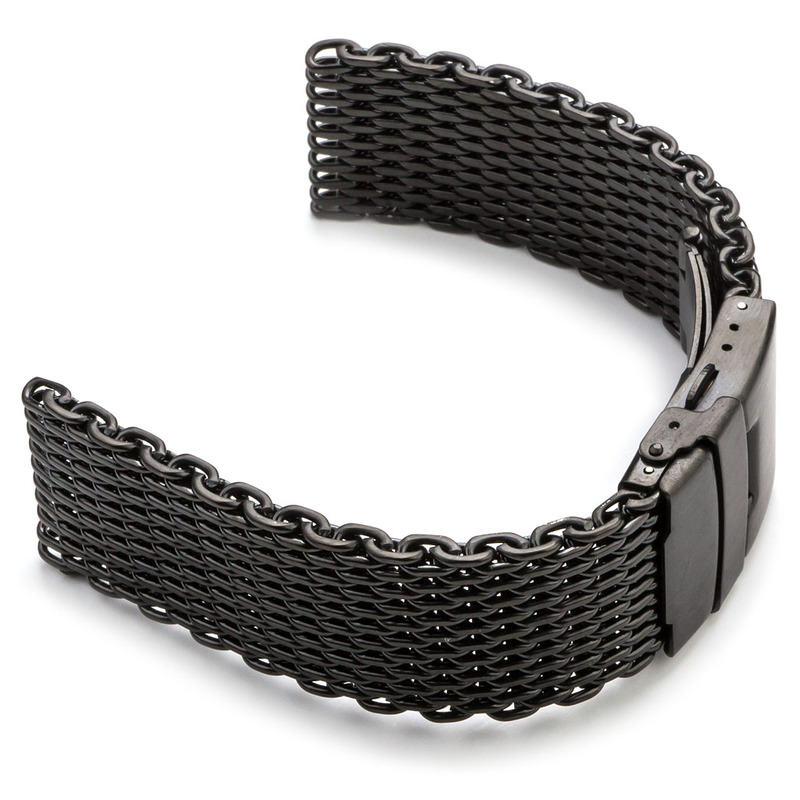 Not a bad mesh strap looks good great price my only complaint is the adjustments my wrist is 7.25 and at its shortest still feels loose. and make sure you squeeze clasp to make sure it locks in place. Still a keeper.. 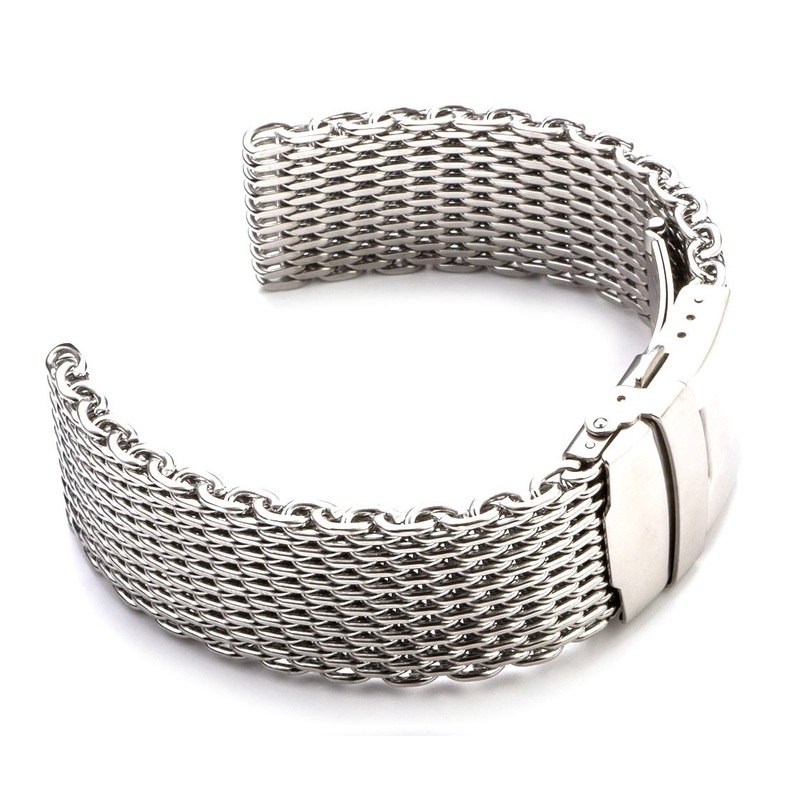 The bracelet is pretty good quality BUT the adjustments are not that great. tight as it would go – was still way loose! 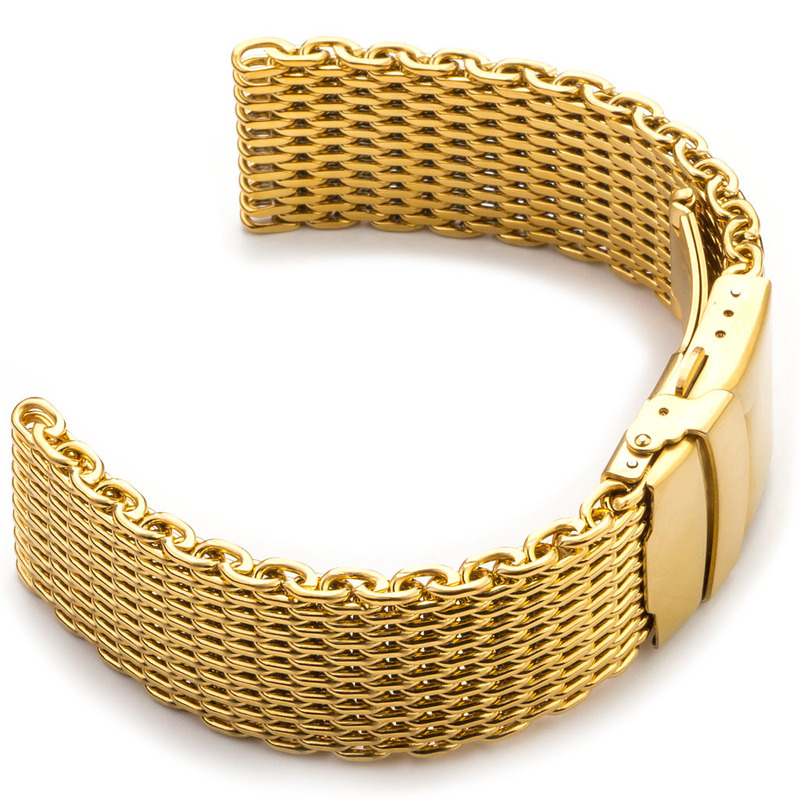 The bracelet is not made up of individual links as one may think. Each row is actually a single strand that is coiled over and interlocked with the previous row. This causes the edge of each strand to be exposed at the end. While effort was taken to bend in and dull the edges, you do notice some sharpness, but it is not enough to cut yourself on. 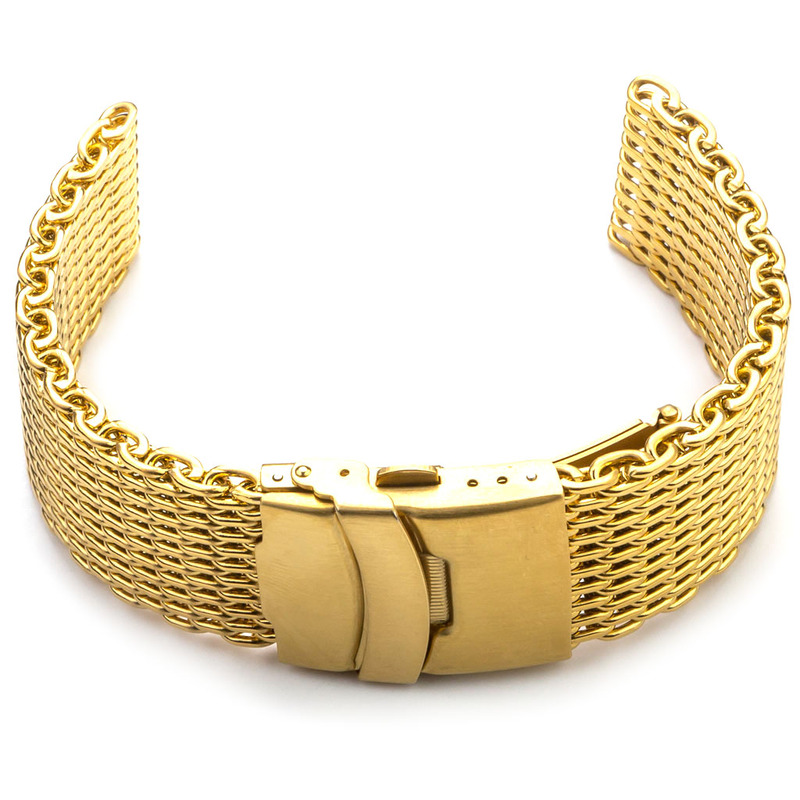 While other Mesh bracelets found on StapsCo have machined clasps, this one has a stamped clasp. 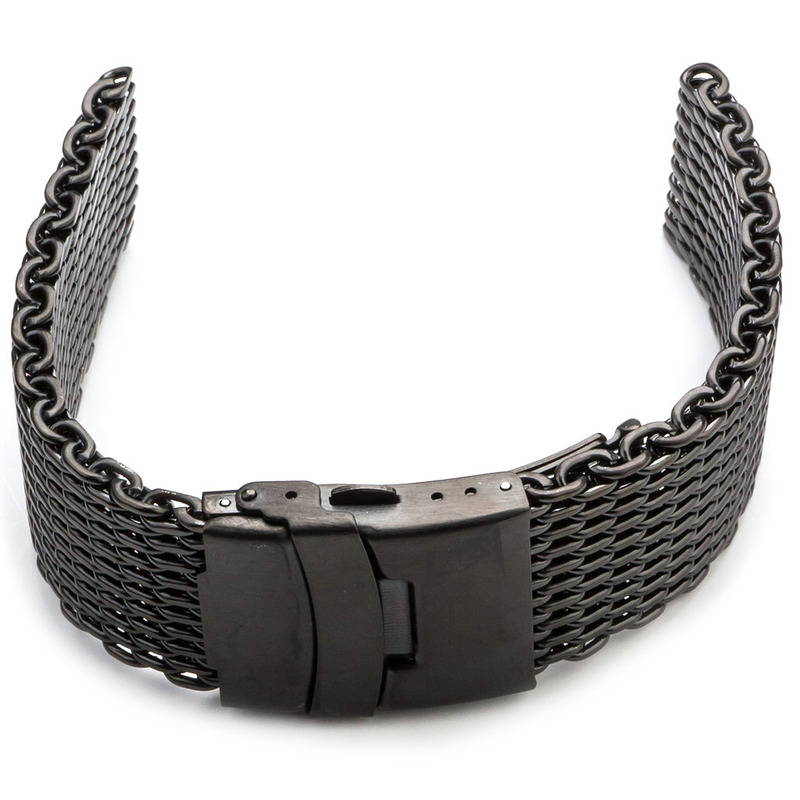 While not as nice as a machined clasp, the stamped clasp is made of a thicker gage of steel than most cheap ones and is quite nice. 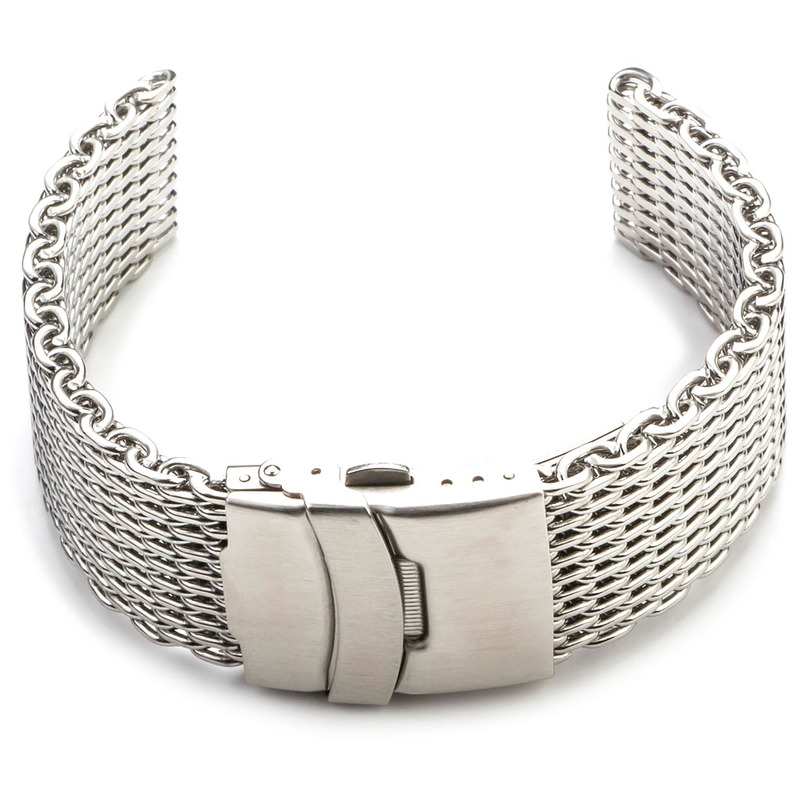 The brushed clasp compliments the polished mesh really well. 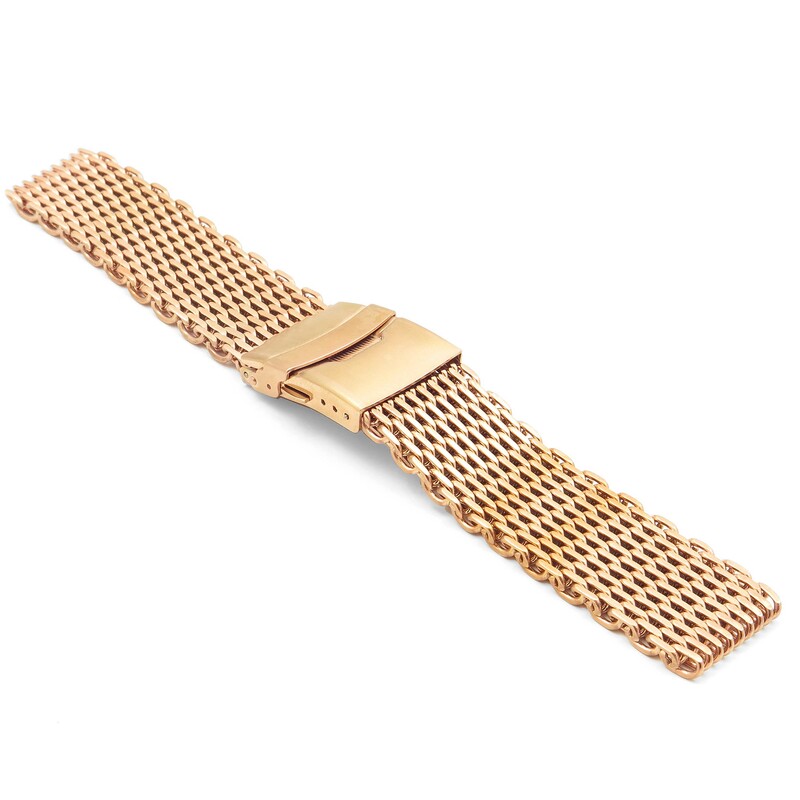 There are only 3 micro adjustments on the clasp, so be sure your wrist size is close the measured length plus the lug-to-lug length of the watch. 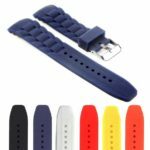 In conclusion I would recommend the strap to anyone looking for a mesh strap that also has the appropriate wrist size. It is a quality product for a great price. This is a very good-looking, comfortable-fitting band. 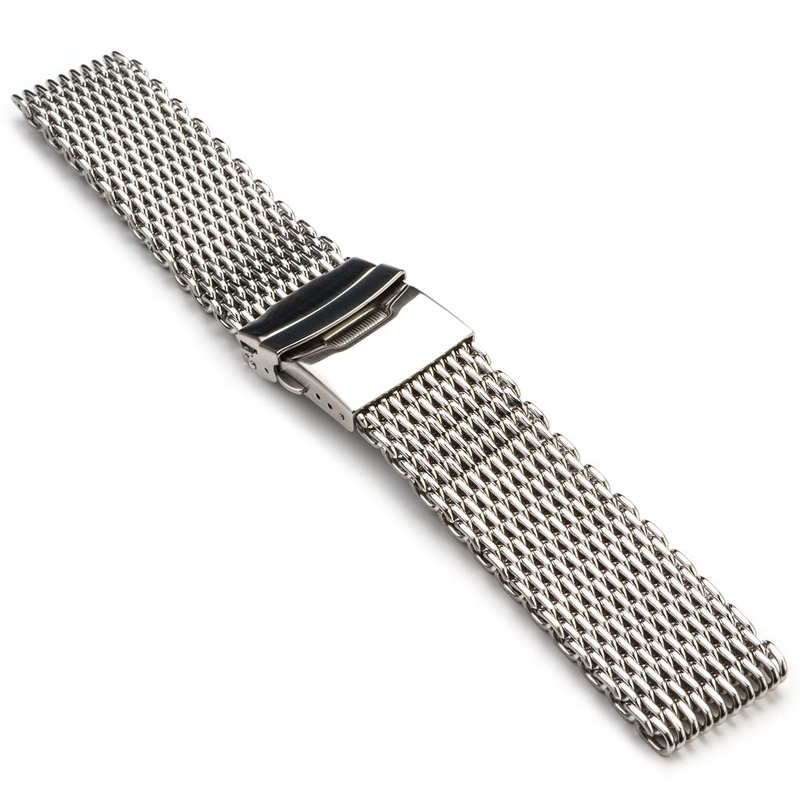 It doesn’t compare to a similar one made by Breitling, of course, but for the price it is well worth buying. I’d definitely recommend it to anyone. Great to deal with Strapsco. This is not my first purchase and it went a smoothly as the others. Great communications and fast shipping. 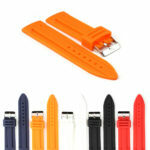 The value for $$$ of this mesh strap is excellent and would not hesitate to order again from them.